Reconnect with your soul…its calling. Kundalini is energy, Kundalini Yoga offers you the tools to awaken the energy which lays dormant within. When you stimulate the Kundalini Energy it has the power to transform you in the most subtle and divine way. This practice can help improve your health and well being, create balance, improve your relationships. 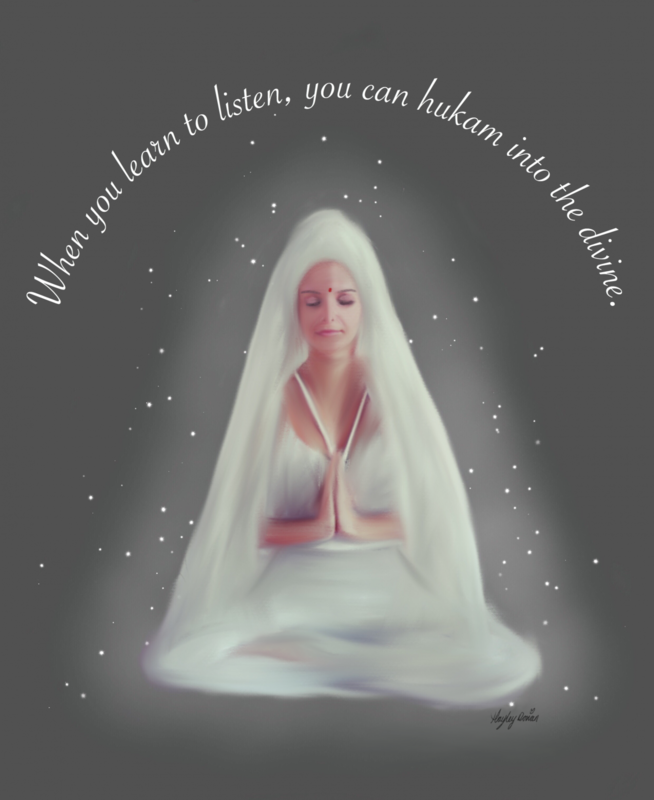 In Kundalini Yoga we strengthen the nervous and sensory system, I share Yogi Bhajan’s teachings and ancient wisdom to offer new insights and meaning to life. Please note: Its necessary to book in advance via the studio to secure your place. I also run regular workshops around the Northeast, check out the blog section for upcoming events. I share a fortnightly online 2 hour workshop so you can learn from the comfort of your own home. Come and be part of our beautiful community, people who are seeking more depth, wisdom and authenticity in their everyday life. Kundalini yoga with Dev Ajeet, the most powerful amazing journey I have been on! And hopefully one I will continue for many years to come. Uplifting emotional connecting with yourself in the most wonderful amazing way. the most powerful amazing journey I have been on! Hi folks. I’d like to share with you how I came to Kundalini Yoga. During the early part of 2017, I was going through an arid, desert patch on my spiritual path. My morning discipline of gentle stretching exercises, chi quong and silent meditation had waned away. I realised the problem was that I was too much in my head space – given to anxious thoughts and overthinking things.One day I googled “How to get out of headspace and into heartspace.” Up popped some articles on Kundalini Yoga. Around the same time, I was exploring mantra music and came across Snatham Kaur and saw that she is a practitioner of this branch of yoga. I did a google search for any kundalini yoga teachers in the north east UK and up came My Body Studio. I saw that there was a class that evening but that it was fully booked. I rang the studio anyway to glean some further information about the classes and was told that there had been a cancellation for the class so I jumped in the car and rattled up to East Boldon. When I entered the waiting room, I found it full of women – not another bloke in sight !! There was an awkward moment when I almost turned about to go back home. But the ladies made me feel welcome and explained what they did in the class. Then the teacher, Dev Ajeet Kaur arrived and before I knew it, I was in my first class of kundalini yoga. I told her I was not very supple and she explained that this yoga is not about being able to contort the body, but rather about cultivating awareness, transforming the ego and raising one’s consciousness. WOW ! This confirmed that I was in the right place. I soon learned that Dev Ajeet is a wise head on a young pair of shoulders. I really enjoy her disciplined and yet light hearted way of leading the class and her spirituality permeates the room. Although the physical movements (kryias) are a challenge to my stiff 66 year old limbs, I do find them liberating and as of July have detected an albeit small improvement in my core strength. The kryias are interspersed with periods of chanting, relaxing and meditation and together they form a holistic approach to cultivating physical, mental and spiritual wholesomeness. In other words out of the head and into the heart where the process of awakening the true self takes place.